Are you having trouble sleeping? If so, you’re definitely not alone. You see, there are literally millions of people who deal with problems going to sleep or staying asleep. 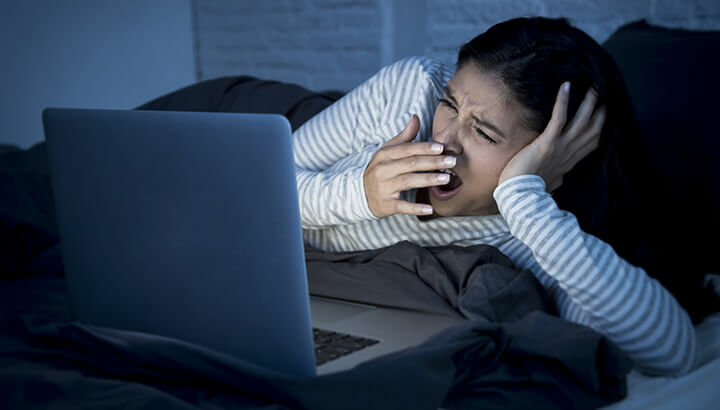 Many have troublesome sleep disorders, and often sleep aids are not enough to help and should not be used due to all the problems that they can have. However, today there are many natural sleep aids and even some simple lifestyle changes that you can make to help you sleep much better at night. So, if you have having difficulty sleeping at night, here are some tips that can help you get sleep that is restorative and helpful. I have a also included an infographic from a latest survey done by adjustablebeds.co.uk regarding sleeping habits for people in the UK. Make sure to check it out! Tip #1 – Avoid Napping – If you are having problems getting to sleep at night, then you need to avoid napping during the day. Taking naps during the day can actually mess up your body clock and this can make it harder for you to sleep when you go to bed at night. If you do have to take a nap during the day, then try to make sure that it is earlier during the day and that it lasts no more than 30 minutes. Tip #2 – Avoid Too Much Alcohol and Caffeine – Drinking too much alcohol or caffeine can also make you have some trouble sleeping. So, it is best to avoid drinking to much of these beverages. It is especially important that you avoid drinking both caffeine and alcohol in the few hours before you go to bed. They can cause problems with your sleep patterns and even make it difficult for you to fall asleep at night. Tip #3 – Make Your Bedroom a Comfortable Place to Be – It is important that you also make your bedroom a comfortable place to be if you want to fall asleep and stay asleep. Be sure that it is quiet and that the temperature in the room stays about the same. Also, usually you should make sure you use it for sleeping, not for doing work or other activities that can be stressful. You want to instantly feel calm and relaxed when you enter your bedroom, so make sure it’s a great place to be where you can be comfortable and relaxed each night. Tip #4 – Try to Keep a Schedule – Keeping a regular schedule can also help if you are having difficulty sleeping at night. Work hard to go to bed at the same time each night and try to wake up at the same times as well. When you get into a good schedule, try to keep it and avoid too much oversleeping, which can reset the body’s clock and make it difficult to get the sleep that you need. Tip #5 – Start a Bedtime Ritual – A bedtime ritual can also be helpful, such as reading a book, drinking a nice cup of warm tea, or even listening to some music before bed. Rituals can help to give your body the cue to start relaxing and getting ready to go to sleep. Tip #6 – Don’t Eat Huge Meals Before Trying to Sleep – Eating a large meal before bedtime can cause you to have some sleeping problems. Because your body is digesting, it can cause problems with the sleep cycle. You should eat dinner a couple hours before you go to bed and avoid drinking too much liquids before bed as well, so you won’t be up all night going to the bathroom. Tip #7 – Avoid Taking Sleep Aids – Many people turn to sleep aids if they are having a hard time sleeping, but many times these sleep aids are not effective and they can cause problems with your body as well. They can lead to sleepiness in the day and even cause more problems with sleeping at night. So, it is usually best to avoid them. All these tips can definitely be helpful to you if you have trouble sleeping.